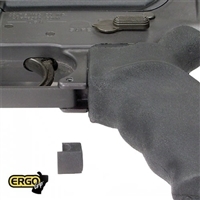 Fills the gap between the trigger guard and the pistol grip on the AR/M4 and cushions your knuckle,prevents abrasion to you finger and provides a more finished look to your rifle. The GAPPER™ is made from solvent resistant Santoprene®, clips in easily, and secures with a tight friction fit. These stickers are made of high quality vinyl decal material. They do not leave any residue and come off clean. 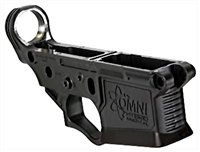 This is a Universal Stackable Decal Jig for an AR15 Lower Receiver. This jig can help you complete your 80% Lower as well as any other 80 percent lower that you may have. This sticker decal jig works well on aluminum as well as polymer lowers for any brand and any company. We created this jig to mill spec down to 1/100 th of an inch. This AR 15 sticker decal jig can also be used as a mil-spec checker for your current AR 15 rifles. Magpul style trigger gaurd machined in. AR15-A3 .223/5.56 LOWER RECEIVER MADE FROM 7075-T6 ALUM FORGING WITH THE ENGRAVED ”SPARTAN MOLON LABE” ON ONE SIDE OF THE LOWER. AR15-A3 LOWER RECEIVER MADE FROM 7075-T6 ALUM FORGING WITH FLAG AND SAYING OF THIS WE’LL DEFEND ON ONE SIDE OF THE LOWER.